Izadora is a brand new character with an all new texture. She has tremendous skin hue and resolution, three gorgeous body shapes that range from the very slender to the bodacious, 8 incredible make up sets designed specially for her and 5 eye color sets complement this package. Izadora is beautiful and she renders just great in any lighting and from any direction. She can easily become one of your Runtime folder Favorite. 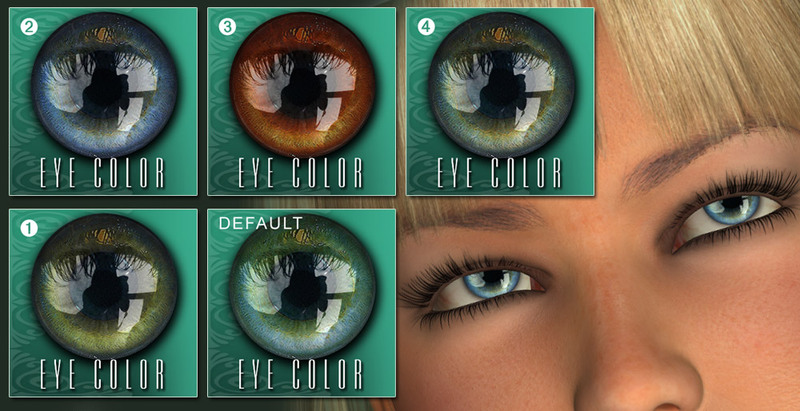 - e-Frontier Poser 5, 6 and 7 ONLY - This product may work on Poser 4 or Poser PP, however it has not being tested. - Package designed for Windows and Mac applications Run the provided installer.